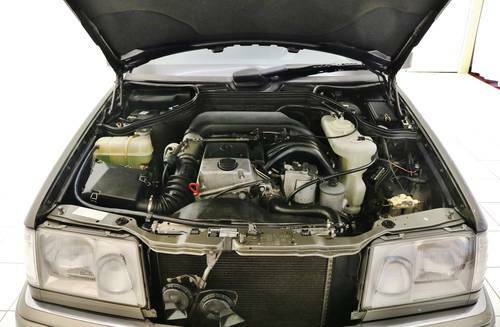 A very original Mercedes-Benz E250 Diesel built in 1993 with only 56.779 km. With all the maintance history and in it’s first paint. 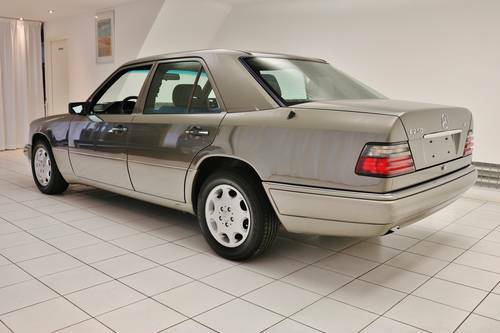 The exterior of this E250 D is performed in its original beige colour, which is in very good condition. 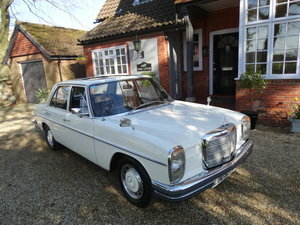 The Mercedes is in very good condition and equipped with its original alloy wheels. The car has electric mirrors and an electrically operated sunroof. 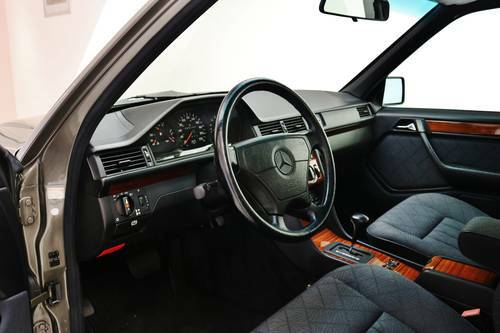 The interior features original upholstery done in the dark stoff. The dashboard is in very good original condition. Wood finished centre console. All original bells are present as well as the original Becker radio with the original Becker demo cassette. The mileage is: 56.779 kilometer. 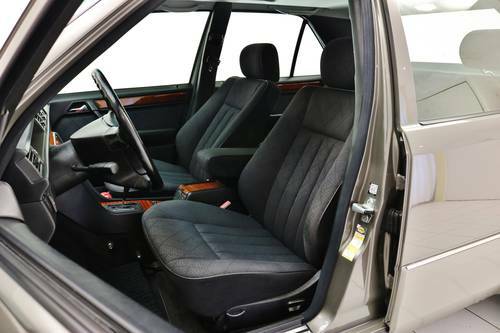 At the centre console you can use the electric windows and mirrors. 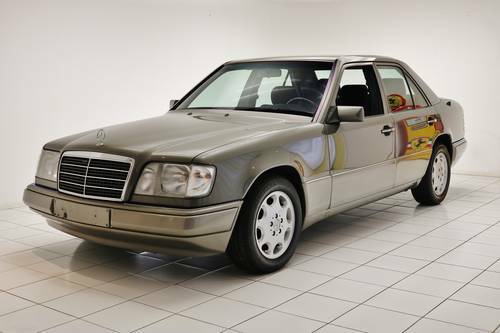 This Mercedes-Benz E250 D has his original five-cylinder engine that is in very good condition and delivers a stunning 113 hp. The automatic gearbox shifts excellent. 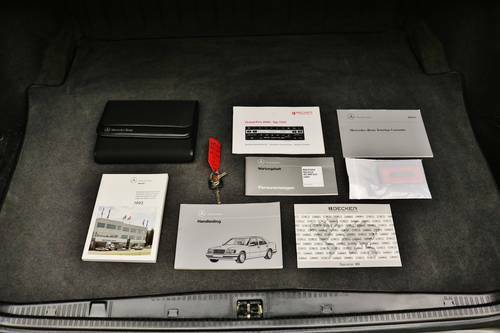 A clean and well-maintained Mercedes-Benz E250 D with only 56.779 km with all history, service booklets and first aid kit. 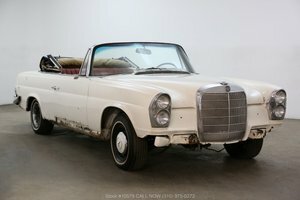 1967 Mercedes 250 SE Auto Coupe. 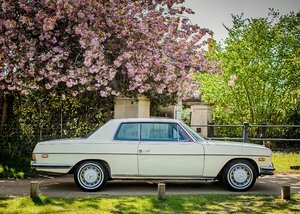 This car is in beautiful condition throughout it drives very well and is fitted with some very nice extras including all round Electric windows, automatic transmission, and leather seats. Please call on 07836639603 Luxury Watches Welcome in Part Exchange. 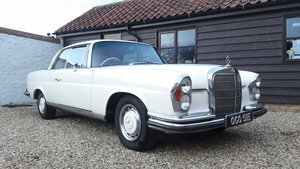 £32,500. 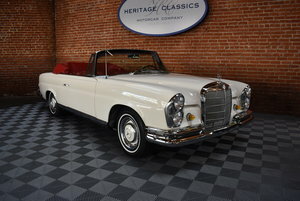 1968 Mercedes 250SE Covertible Fully Restored!